Harbin is deemed "the Oriental Moscow" and is a wonderful blend of North China culture and European flavor. Every winter it becomes a charming snow Fairyland, with snow sculptures, ice lantern festivals and winter activities. 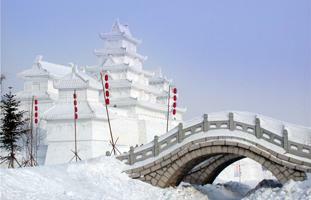 Choose from our Harbin tours and enjoy a fantastic winter holiday. Or China Highlights can help you create your own Harbin tour. Over the past 10 years we have specialized in customizing China tours. 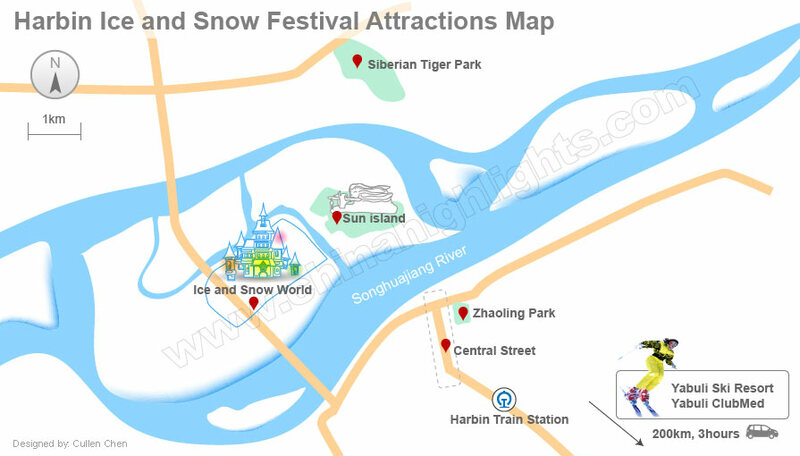 This tour allows people to explore the main sites of the Ice and Snow Festival in one day, suitable for a short stay in Harbin. Visit the huge snow sculptures at the Sun Islande and colorful lighted ice castles in the Ice and Snow World, get the best of Harbin in one day! 1. What I can do during the middle of December? Before the official opening time of the Ice and Snow Festival, huge snow and ice sculptures are under building in the middle of December. As the parks are closed, people are unable to see the making process. However there are still other places to see. At the Central Street, you can see how people make snow sculptures if lucky enough. Take the warm shuttle bus in Siberian Tigers Park, you can see Siberian tigers in the outdoor. Enjoy the white whale and sea lion show at the Harbin Polarland, have a skiing day… although the Ice and Snow Festival didn’t start yet, you can still have fun in Harbin! Batteries are affected easily by low temperature, when playing outside, please put your cell phone and camera in the bag. If you plan to take a lot of pictures, do bring a spare battery as batteries run out quickly in low temperature.